Q. I have a question that isn’t addressed in the User Manual. How can I get an answer? A. The quickest way is to start TimePilot Central, click the “Help” menu, and choose “Help.” There’s a lot more content in the software’s help system than there is in the manual. You might find the section called “Definitions” especially helpful. To see that section, start the software’s help system and scroll down to the bottom of the left panel. Can’t find help there? Check our web site’s Support Center or contact our support staff at Support@TimePilot.com or 1-630-879-6400 x104. Q. My TimePilot software is telling me I should update. Any tips? A. Yes. When the software tells you to update, before you start the process, you should close TimePilot Central. This will enable the update to take effect immediately. Q. I need to replace the AA batteries in my Extreme. What kind to you recommend? A. We recommend alkaline AA batteries. They will last longer and are less expensive than lithium batteries. A. Yes. Instead of depressing the tab on the network cable’s connector to release it from the clock, gently push the entire cable connector away from you. The tab be freed and the connector will release. A. Easy! Start any TimePilot program, click the “Help” menu at the top of the screen and choose ”About.” Your data location will listed (under "Data Path") in the pop-up box. The recent death of Whitney Houston reminded us of TimePilot's connection to the singer's 1992 movie, "The Bodyguard." When the movie was being made, the company that later spun off TimePilot was contacted by a Los Angeles prop house. The movie's set designers were looking for a device that would resemble an electronic security system for a scene at Houston's home. At the time, TimePilot's predecessor made a staff registry system that consisted of a large panel with hundreds of LEDs. The prop company bought a system, installed it on the set and filmed a scene in which it made its movie debut, but the scene was cut from the finished movie. TimePilot Tips: Getting help beyond the User Manual. Lead story: Our new iPhone App. 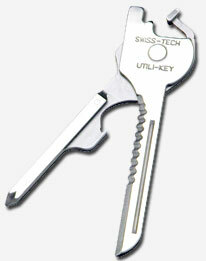 Cool Stuff: The Utili-Key 6-in-1. The Deal: Buy a CrossOver X45 door lock and a Lock Management Kit, and get 10 iButtons free! TimePilot is going mobile! Our first iPhone App is now available at Apple’s iTunes App Store. 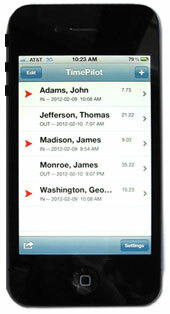 The TimePilot iPhone App turns your iPhone into a portable timeclock. Employees can clock in and out at an iPhone and the results can be transmitted to the PC running TimePilot Central. The App also runs on the iPad and the iPod Touch. Want more information and a link to the App? Check out the introduction to the TimePilot App page on our web site. 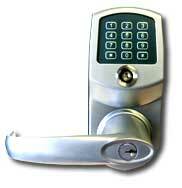 Buy a CrossOver X45 iButton Lock and a Management Kit, and get 10 iButtons free!